Awe...what a fantastic image! Your card is the perfect blend of colors for spring. Thanks for taking part in our "Easter Joys" challenge at Pile it On! Good Luck! This is so pretty and delicate looking with a charming image. Thank for joining us at the Come And Get It challenge. What a sweet card. Love the bunny and the heart buttons. Thanks so much for joining us at Created with love challenges. Fabulous card with nice bright spring colors, darling design and image. Thank you for joining us at the Come And Get It challenge. 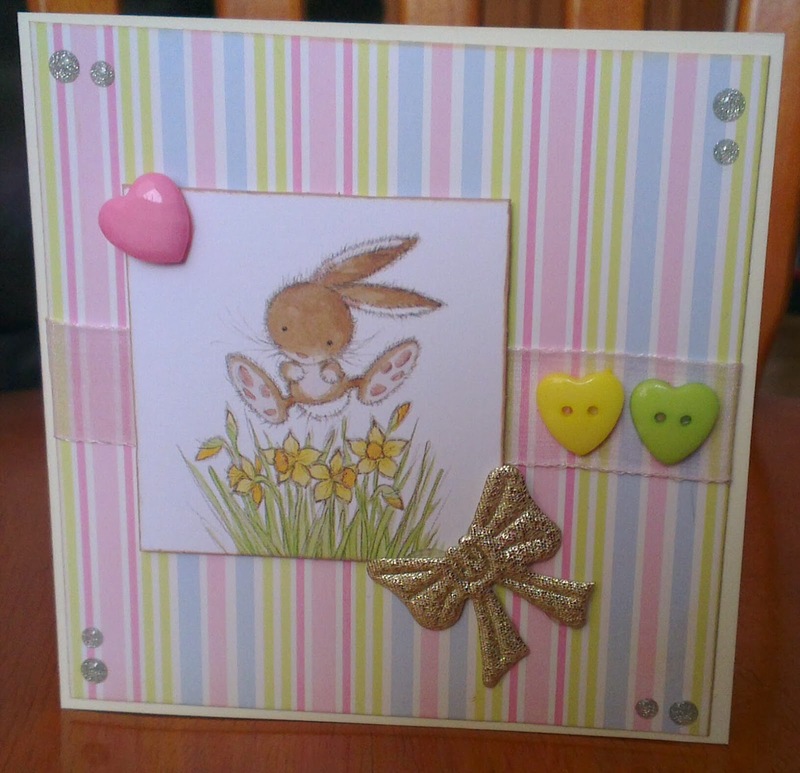 Beautiful and springy card. Thanks for joining us at Lacy Sunshine.